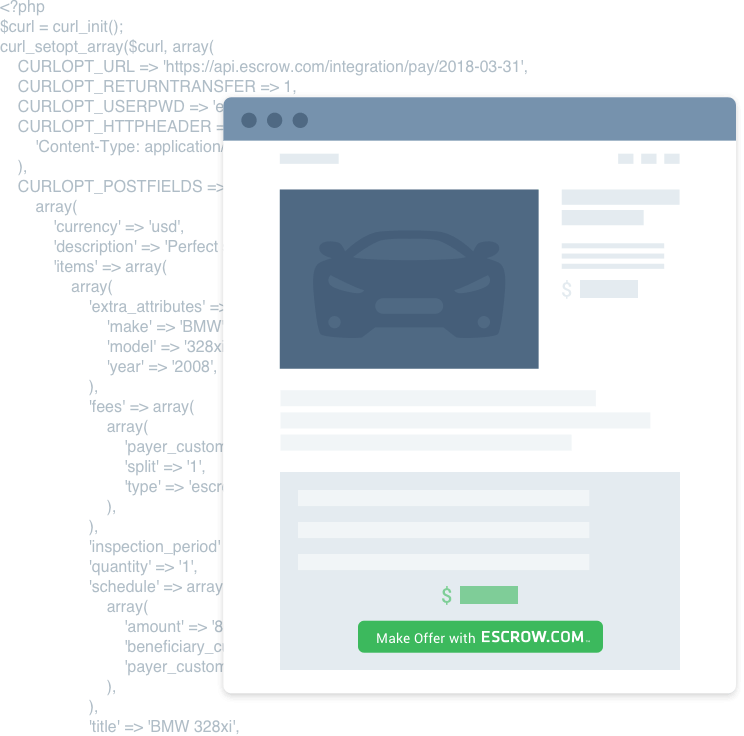 Escrow Offer empowers buyers and sellers to negotiate a price for domain names, cars, boats, aircraft or any high-value item online. 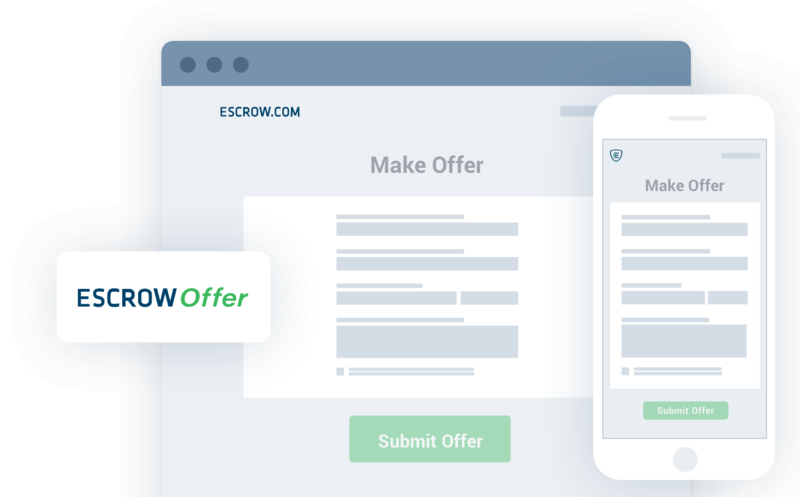 Escrow Offer is the easiest way to introduce the power of price negotiation for escrow transactions to your website, online store, mobile app or classifieds site. Escrow Offer allows your buyers to submit offers to any item listed on your platform. Sellers can review offers, and either accept, reject or counter them. Negotiations proceed until a deal is reached and the escrow process begins. What will my business get from Escrow Offer? Buyers are more likely to engage with sellers if they have a way to negotiate the price of an item. Sellers can receive and manage multiple offers on the same listed item. 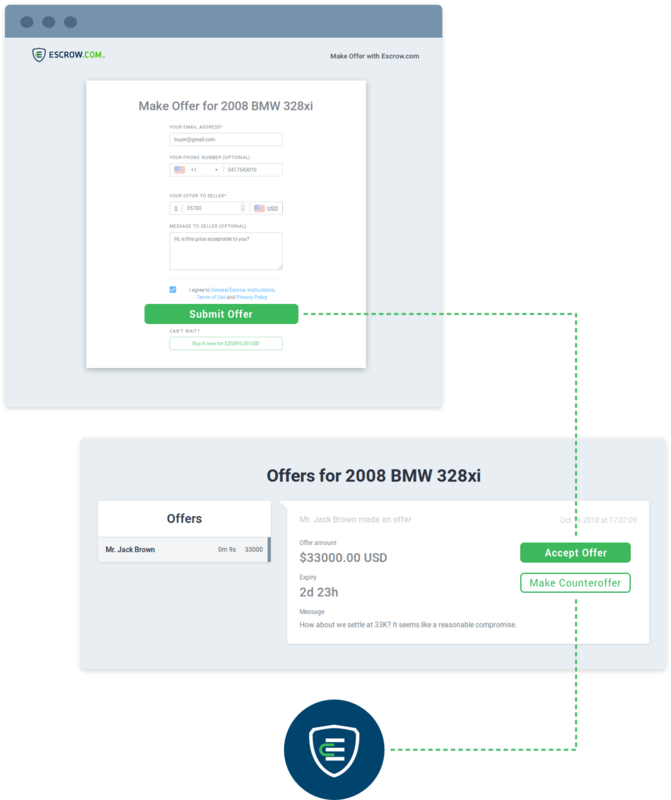 Users can submit, accept, counter or reject offers via the streamlined interfaces on Escrow.com. Establish credibility with your customers, as Escrow Offer is supported by the most trusted, licensed online escrow service in the world. How do I add Escrow Offer to my website? You can add the negotiation power of Escrow Offer to your business with a single API call. Or you can simply create a Make Offer Button, and your buyers will be automatically redirected to the Escrow Offer experience. To learn more about integrating with Escrow Offer, please view our online documentation via the link below.